Pest infestations are a constant problem in the Brooklyn area including the Flatlands. Whether it’s for shelter, food or water, any of these could attract pests into your home. Once inside they can reproduce quickly, and become much more difficult to get rid of. That’s why it’s crucial to get professional help from a qualified pest control company to get rid of the infestation for you. These pests use the dark crevices of your mattress to hide in during the day. At night while you’re asleep is when they come out to feed on human blood leaving behind tiny red welts on your body. These blood meals give them what they need to reproduce. So, if you wake up in the morning to find these tiny, red marking, it’s a definite sign of bed bugs in your home. 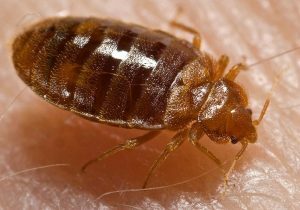 Perhaps the biggest problem with bed bugs is just how easy it is to get them. It doesn’t take much as they simply hitch a ride on your clothes, and without you even realizing it, you end up bringing them into your home. And you can pick them up from almost anywhere. It could be a hotel room, someone else’s house or even in the gym. Once an infestation spreads, it becomes tough to remove it without help from a bed bug removal expert. They will have access to heat treatments which is necessary for eliminating them from your premises for good. This can be a troublesome pest because there are just so many of them. A single colony could contain thousands of ants literally. 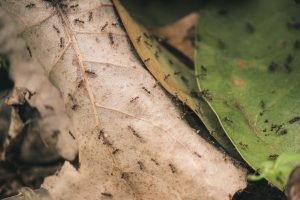 An ant infestation isn’t just relegated to the outdoors. It doesn’t take much for them to come into your home. Sometimes a few crumbs are enough to attract them. It might start with just a few ants, but quickly they will contact others from their colony to come in to eat too. To help reduce your chances of getting an infestation always clean up any crumbs and food particles after you finish eating. Also, keep all food in your kitchen and pantry in tightly sealed containers. Sometimes all of this though is not enough. Ants can still get into your home. Besides food, they also search for water and shelter too. Most often store-bought products and DIY methods have little to no effect. At best they might get rid of the few ants in your kitchen, but they won’t solve the problem long-term. A professional ant control expert will eliminate them from the source, and keep them away from your home permanently. There are various types of stinging insects. Some can be harmless, like honeybees for instance. Meanwhile, hornets can be extremely dangerous as they are very aggressive, and will not hesitate to sting someone multiple times if their nest is disturbed. But this can be especially dangerous if you are allergic to bee stings. In those cases, besides the pain and swelling of the sting, a person could suffer from Anaphylaxis, a severe allergic reaction which requires immediate medical attention. In severe cases, it could potentially be fatal. Many people often look online for DIY methods or home-made remedies to get rid of a pest infestation. While many of these don’t work, there are no major effects. However, removing a beehive should never be attempted by an amateur without the proper training. 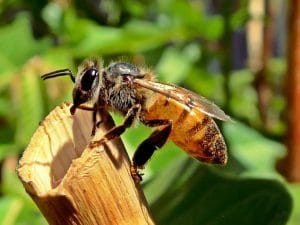 A bee removal expert first has the expert knowledge to know what kind of stinging insect you are dealing with. Secondly, they have been trained, and have the proper safety equipment to remove a hive without getting harmed and relocate the bees as well. Rodents like rats and mice are notorious throughout all of New York City. From residential homes to commercial businesses, no place is safe from a rodent infestation. These pests are continually searching for food, water, and shelter. Anyplace that can provide any of these three will be inviting to them. What makes rodents such a pest is how quickly they reproduce. 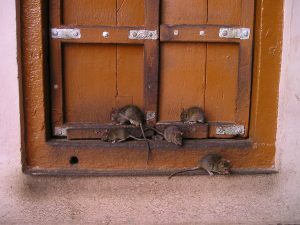 If only a couple of rats make their way into your home, in a very short period you can have a full-on infestation in your home. The other major concern when it comes to rodents is the diseases that they carry. Because they scavenge through garbage and sewers, they have a lot of bacteria on them. They can quickly spread this bacteria and cause diseases in people if they are allowed to take up residence in your place. It’s vital to get the help of a rat removal expert to get them out as soon as you spot one. Our technicians will not only get rid of them for you but also seal off any entry points they may have used to get in. 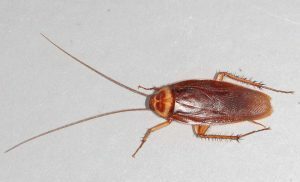 Just like rodents, cockroaches have become infamous for infesting entire areas of New York City. Also, like rats, they carry large amounts of bacteria from crawling around trash and filth. This bacteria can spread the disease to people, and cause breathing problems in asthmatics. Roaches are nocturnal so you will rarely see them during the day. If you’ve noticed at night as soon as you turn the lights on they scurry away out of sight. However, roaches never infest a few at a time, but rather in large numbers. So, if you do spot one or two around, it’s highly likely that there are plenty more hiding around somewhere inside your home. You should get rid of any cockroaches as soon as possible. Turn to a qualified pest control expert to take care of the problem for you. If you’re dealing with a pest infestation and trying to get rid of it, turn to Bugged Out Pest Management’s pest control services in Flatlands, Brooklyn. Our team of pest control experts can handle any kind of infestation, large or small. We will work with you, and together put together a customized plan that meets all of your needs, concerns, and budget. Contact us today!